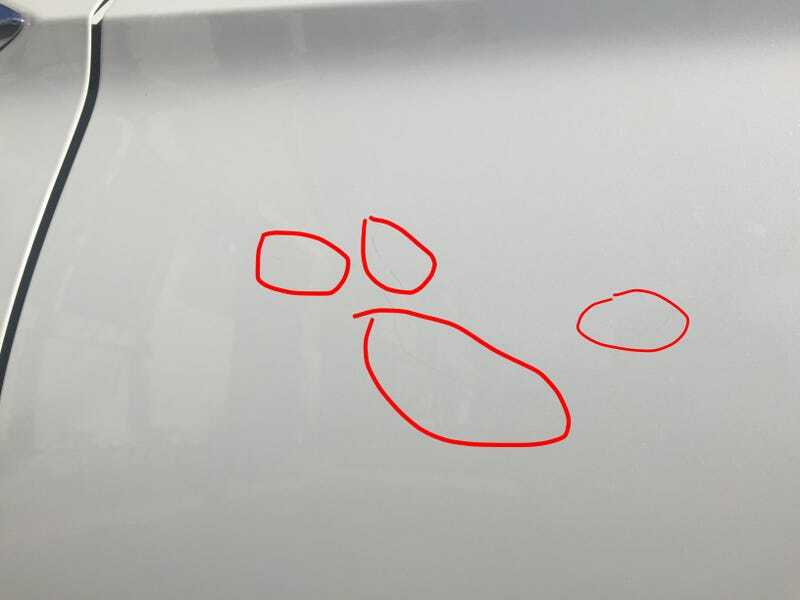 The demon spawn you call your children have proved themselves to possess the highest level of douchebaggery, as shown by the scratches on the left rear door of my Accord. They’ve not only ruined the beautiful White Orchid Pearl finish, they’ve also ruined the first day of the new year for me. It’s made me really upset. These children have consistently put at least one scratch on every car that’s passed through this house. I won’t blame it on them; it’s the parents’ fault for not restraining them. I can’t deal with this level of scratches. Anyone know how to get rid of these?